This jargon-free introduction to Christianity explores who Jesus is, why he came, and what it means to follow him. This is the revised version of the best-selling Christianity Explored book, written by Rico Tice and Barry Cooper, is a jargon-free introduction to Christianity. Drawing from the book of Mark in the Bible the book explores who Jesus was, what his aims were, and what it means to follow him. Concise, entertaining and honest, it's an ideal book for anyone with little or no experience of Christianity. It can be used to encourage people to join a Christianity Explored course, to consolidate what has been learned by a guest, or simply as a way of reaching those who would rather not come to church. 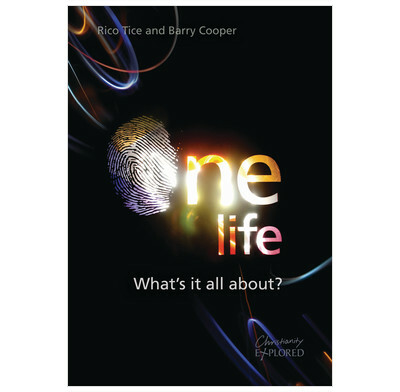 Rico Tice and Barry Cooper skilfully relate timeless truth to our pluralistic, pop culture in a refreshingly relaxed and honest approach that draws the reader into the great adventure of discovering for himself who Jesus is. Using a secular approach to reach the secular mind, and based on Mark's biography of Jesus, Christianity Explored is logical, reasonable, humorous, easy to read - and true! For starters, I want six copies - one to keep and five to give away! <em>Christianity Explored</em> is the best resource I have ever read for knowing Jesus Christ. It is clear, precise and very enjoyable. Here's what I really like about this book: it's honest, hiding nothing. It doesn't mince its words and tells it straight. It focuses on the authentic portrait of Jesus as painted in Mark's Gospel. What do you get someone showing interest in finding out more about Jesus Christ? This is a good starter! Reading the Bible is an alien experience for people today, so this book puts the Christianity Explored approach to Mark's Gospel into print form. Accessible and with links to CE website a useful pass-it-on. This book explores and examines St Mark's Gospel and Jesus' life and teachings contained therein. Using a lot of relevant and contemporary anecdotes, he [Rico] explains that the human heart is fundamentally flawed and ultimately wicked. The only way to gain God's kingdom is by loving God wholeheartedly and forsaking all else to enter on our knees, full of repentance, with the unquestioning devotion and reliance on God's grace as a small child is dependent on its parents for everything. Jesus was sent to suffer and die for all our sins, and if we truly trust this to be the case and follow Jesus' life and example we can rejoice and join Christ's community, and mix with like minded Christians at church to partake of their love and strength and encouragement and guidance. A very compelling read. logically worked through and very in depth of all the Scriptures. A truly well researched document bringing in facts from a vast database of biblical knowledge. A must for the inquisitive sceptic. This book faithfully presents the Gospel in a clear, concise, contemporary, interesting, and lucid way. I have given a copy to several people who are willing to search for the truth.